Melissa is a rapidly developing city, located in Colin County, just 35 miles north of Dallas and the DFW metroplex. Benefiting from the booming Dallas/Fort Worth economy, Melissa also offers a cozy small-town feel, but easy access to big city amenities. As a result, new homes in Melissa have become an increasingly attractive option for new home buyers. 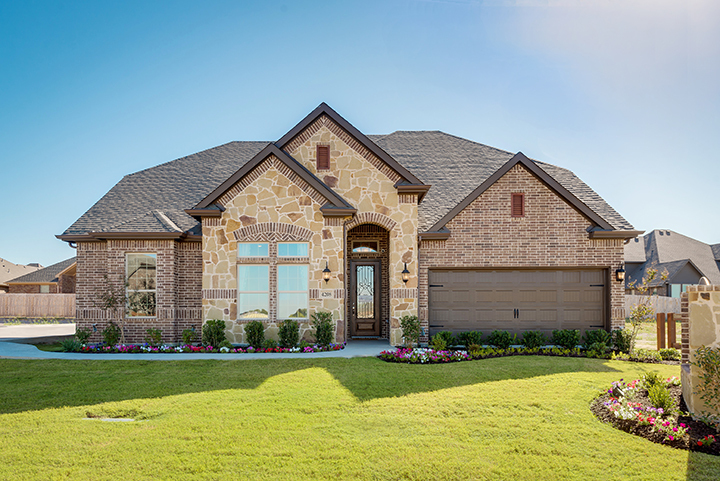 Explore our new home communities for sale in Melissa, below. Our community, North Creek, is proud to offer a second phase of beautiful brick and stone exterior homes that feature spacious gourmet kitchens, quality appliances, granite counter-tops, designer ceramic tile backsplashes, custom cabinets and crown molding.